BacktoFrankBlack.com is proud be able to offer you up to date information on news of Lance Henriksen's appearances via his official representation. BacktoFrankBlack will update Lance fans with any news that we're sent regarding Lance from his people. Lance will be attending the Weekend of Horrors in Bottrop, Germany (closest airports are Düsseldorf and Dortmund - an hour and half hour away from Bottrop respectively by train). Lance will be doing photo sessions - check the website for more details. Other guests include Robert Englund and John Saxon. Flashback Weekend is Chicago's longest-running Horror Convention. Lance is headlining the celebrity guests with Tony Todd and Buffy The Vampire Slayer's Mercedes McNab also on the bill. Find Flashback Weekend on Facebook and Twitter. Bookmark us for further updates in regards to Lance, Millennium and the campaign! 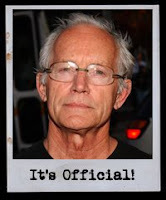 1 Response to "Upcoming Events for Lance Henriksen: Official update"
Thanks for the info on Lance. Maybe I'll meet you there.